New Hytera Lawsuit Accuses Motorola of Anticompetitive Practices in U.S.
Hytera Communications filed a lawsuit in federal district court in New Jersey against Motorola Solutions, alleging that Motorola is engaging in anticompetitive practices that are unlawful under the Sherman and Clayton Acts. Hytera charged that Motorola deliberately and actively forecloses competition in LMR communications systems to reap billions of dollars on sales at inflated prices to U.S. customers. Hytera Communications Corp. Ltd. et al. v. Motorola Solutions, Inc., 2:17-cv-12445 alleges that Motorola Solutions violated Sections 1 and 2 of the Sherman Antitrust Act and Section 3 of the Clayton Act, along with the unfair competition and intentional interference laws of the states of New Jersey, California and Florida. Hytera is seeking damages and injunctive relief. Hytera's complaint alleges that Motorola Solutions prevents Hytera from competing in the U.S. marketplace by enforcing inflated prices and engaging in a monopolistic scheme that includes forcing LMR dealers to drop Hytera's products. The Chicago-based company leverages its dominance of the U.S. public-safety market to impede adoption of newer, less expensive technologies and engages in a serial pattern of sham litigation to impede Hytera and interfere with its relationships with dealers and customers, a statement said. "Motorola Solutions is forcing U.S. customers to pay artificially high prices for critical communications,” said Tom Wineland, director of sales for Hytera Communications America (West). “It can do this because of its long-standing monopoly." China-based Hytera; Jersey City, New Jersey-based PowerTrunk; Miramar, Florida-based Hytera America; Irvine, California-based Hytera Communications America (West); and Cambridge, U.K.-based Sepura together alleged that by foreclosing competition from Hytera’s Digital Mobile Radio (DMR) and TETRA solutions, Motorola Solutions maintains inflated pricing in the U.S. on its Project 25 (P25)-compliant products. 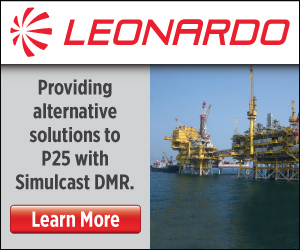 P25 is a technology standard for public-safety LMR in the U.S. TETRA, used by public-safety organizations and commercial businesses worldwide, offers similar functionality and features to P25 equipment and can be significantly less expensive, making it a compelling option for utilities and transportation organizations and other commercial users in the U.S, a Hytera statement said. Hytera said Motorola’s DMR handsets have a suggested retail price (MSRP) of up to $738, while Hytera’s DMR handsets with similar features and functionality MSRP are $440. Hytera further alleged that Motorola Solutions charges U.S. customers more than it charges customers in competitive markets outside the U.S. Hytera said Motorola charged the city of Chandler, Arizona, $5,290 for a P25-compliant radio —- nearly five times what a customer in the U.K. could pay at retail for a comparable TETRA product. Hytera said that U.S. customers and taxpayers could realize significant savings from competition from more cost-effective TETRA and DMR solutions that are just as robust. Hytera said Motorola has made continuous efforts to stall acceptance in the U.S. of TETRA technology and has engaged in a pattern of intimidation of LMR dealers. "Motorola Solutions brow beats dealers into dropping Hytera's products or face losing the ability to sell Motorola Solutions' products and service lucrative maintenance contracts," said Andrew Yuan, Hytera's president of North and South America. The antitrust lawsuit follows an August Hytera lawsuit that said Motorola Solutions is infringing Hytera's U.S. Patent No. 9,183,846, which covers its sound adjustment control technology. Motorola has filed numerous lawsuits against Hytera this year. In March, Motorola filed patent infringement and trade secret misappropriation lawsuits against Hytera. The U.S.-based company later filed a patent infringement complaint with the U.S. International Trade Commission (ITC) and similar lawsuits in German and Australian courts. I feel let's not get caught up in all this mess. Just buy Harris. Hytera has no idea how to develop and nurture a dealer distribution channel. Besides, most Motorola dealers want nothing to do with Hytera, not to be trusted, and all the Hytera Chinese want to do is dump their product on dealers. Also Hytera has absolutely no support. I personally deal with Motorola and Hytera daily and find them both to be reputable and provide equally great products. I am not aware of choosing or arguing about dealer issues as my loyalty is to my customer. What part of America — the home of free enterprise — does Hytera not understand? Motorola dealers do not want to deal with the Chinese. Hytera has no people in their organization capable of bringing Motorola dealers on board. They did a few years back, but those individuals are gone, and now Hytera is just making anticompetitive excuses. The bottom line is trust, and Hytera has no credibility. Wish there was a like button here. Hytera is correct. Internationally, prices are lower than those of the institutions in the USA, maybe because international dealers are requested to keep copies of proof of shipment in order to get a refund from customs in radios exported out of the country since the production of radios are not in the US but in many countries in Asia. Perhaps the prices of Motorola will be higher when the new tax takes effect since they will be taxed at 20 percent since they are not a manufacturer in the U.S. Let's see.